Crusher, and accordingly, crushing is the first step in the processing of secondary waste plastics. Depending on the purpose of processing, the size and power, crushers can be divided into the classes of light, medium and heavy. For beginner recyclers, or for the purposes where there are not high demands, there is an econom class crushers. There are also special panel material crushers and materials in rolls (for embedding in thermoforming lines or autonomous work), wet crushing machines (for contaminated materials going in further processing into granules), and micronizers (crushing materials in powder) available. 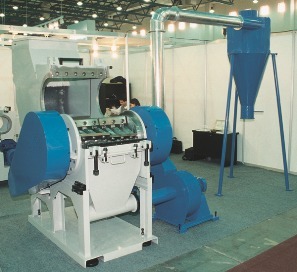 SIE "TRIGLA" offers a wide range of plastic crushers of European, Turkish and Chinese manufacturers, from small, with a capacity of 20-30 kg/hour up to machines with capacity of 3000 kg/hour. 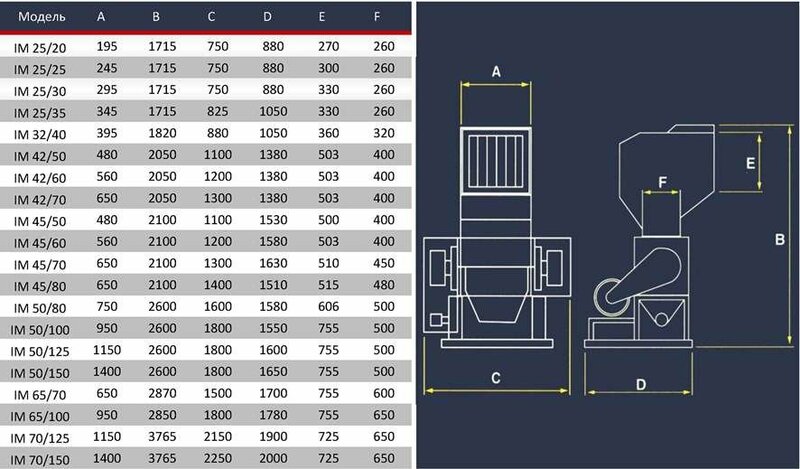 To know more details and to get familiar with the different classes of crushers visit the relevant sections of our site. Whether the material is clean or contaminated. Contaminated with what? Is the crusher an aotonomous machine or is it a part of a processing line?